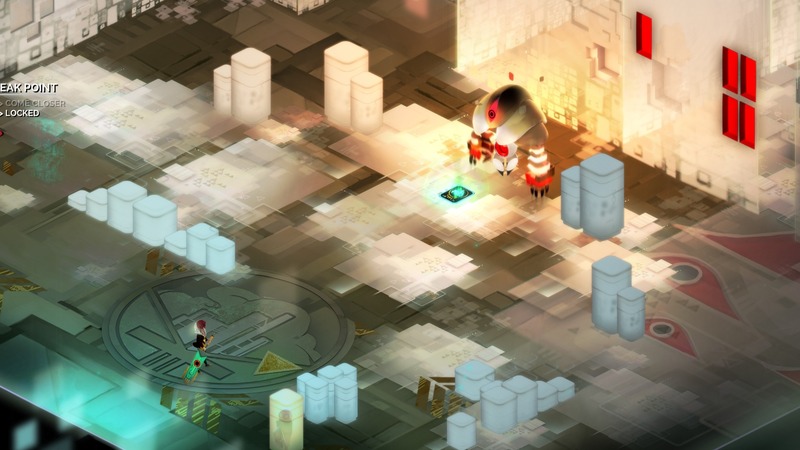 Supergiant Games has launched their latest game, Transistor, following the highly-acclaimed Bastion. This was something I’ve been wanting to play after first hearing about it and getting my first peek at E3 2013. 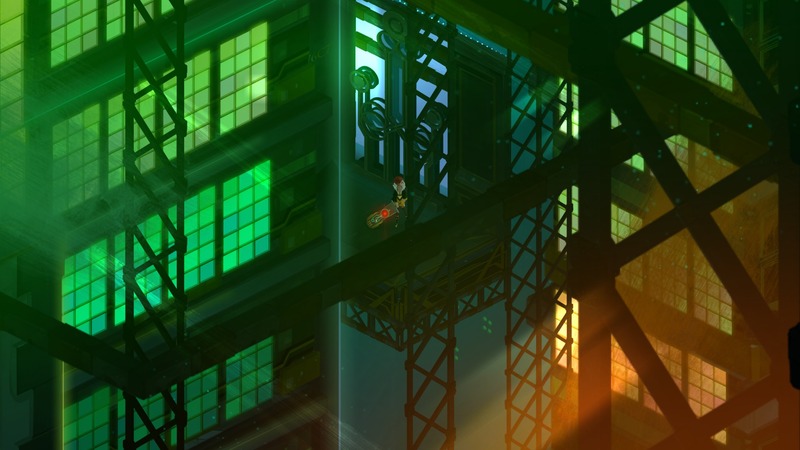 Transistor takes you into the world of Red, a famous singer who resides in the city of Cloudbank, as she tries to figure out what has happened to her and the city. She has been attacked by a robotic force called the Process which were being controlled by a group called the Camerata. 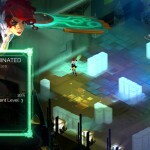 During the attack she came into possession of the Transistor, a giant sword, after a man was stabbed with it resulting in his consciousness and voice absorbed into the Transistor. 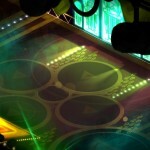 The Camerata are now after the Transistor and use the Process to track her down and get it back. There is a lot more to the story but I don’t want to spoil it and for good reason. 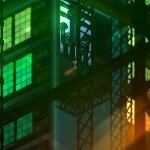 A lot of the game mechanics and features are tied to the story but we’ll touch on that in a little bit. Stylistically, the game is stunning. It’s beautifully painted and I was glad to see the artist approach the game with such personality. 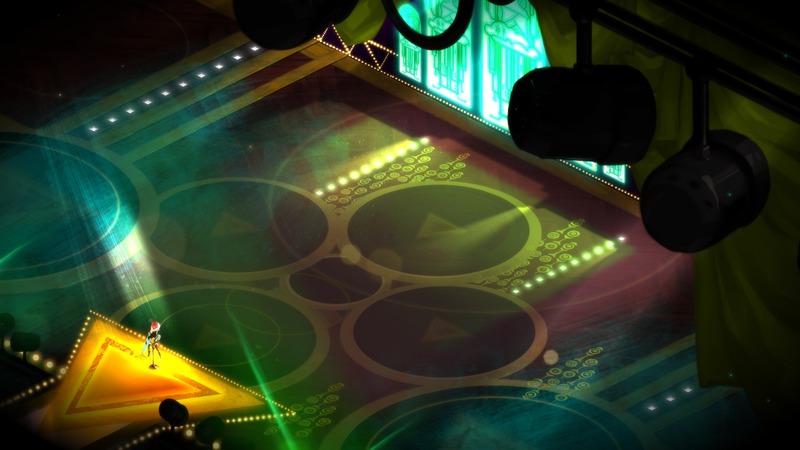 The mood lighting, the colors, and the effects all set the tone of the game. Another strong point is the soundtrack. Darren Korb works his magic once again providing a soundtrack that enhances the overall theme and mood of the game. It’s catchy but not annoying and you can feel the emotions set in during different scenes. 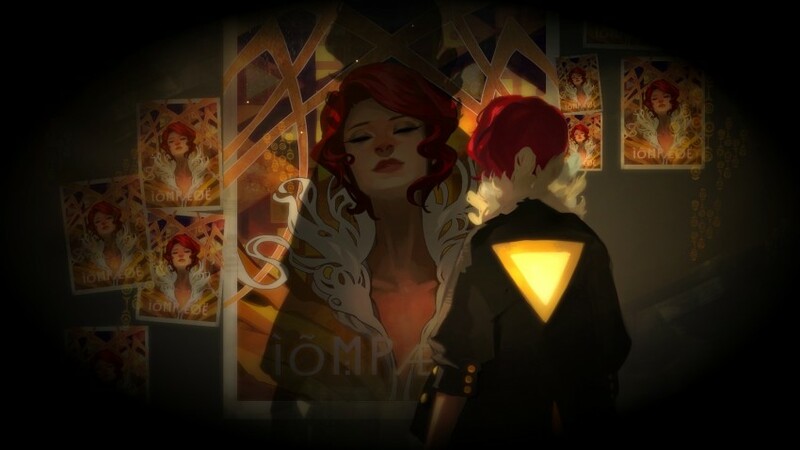 I, personally, loved the narrator in Bastion and I was glad there is something similar in Transistor. 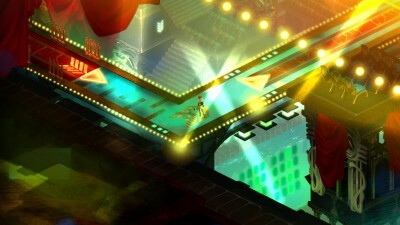 The man whose thoughts and voice were absorbed into the Transistor acts as the narrator for the game. Pay close attention to what he says as you’ll miss key elements of the story otherwise. 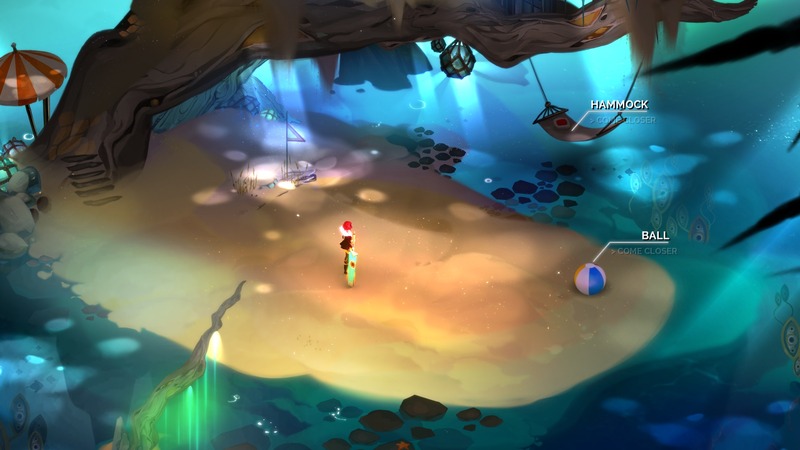 Transistor introduces two ways to fight in the game. There is the free movement in which you run up to enemies and just hack away or you can choose to activate the planning mode also known as Turn(). Turn() lets you strategically plan out your moves, called Functions(), in which you execute them in super speed. After each Turn() there is a recharge time until you are able to activate it again so you’ll have to dodge enemies until then. I used Turn() about 95% of the time since strategically it’s easier, faster, and you take the least amount of damage. You’re able to dodge and run away until you’re recharged and strike multiple enemies since it’s in super speed and they can’t move away as fast. Some of the enemies it’s easier to just strike so you just have to be wary and pay attention. You gain new Functions() by absorbing souls from other dead bodies you’ll find and by leveling up. 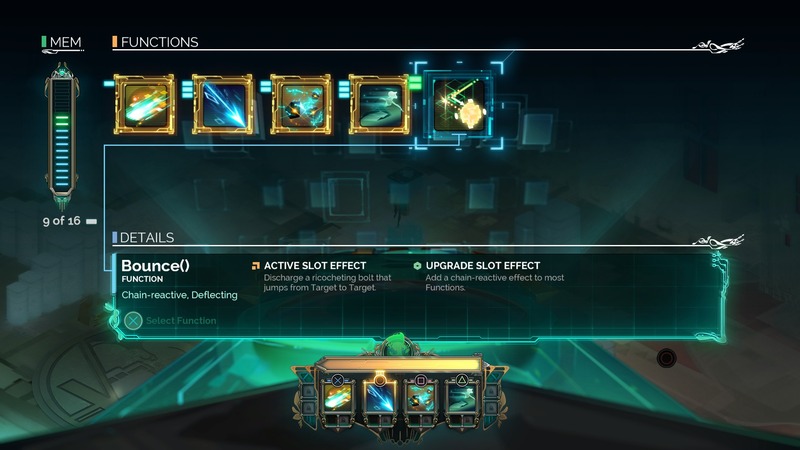 Just like in Bastion you can choose to upgrade these Functions() by merging them together. 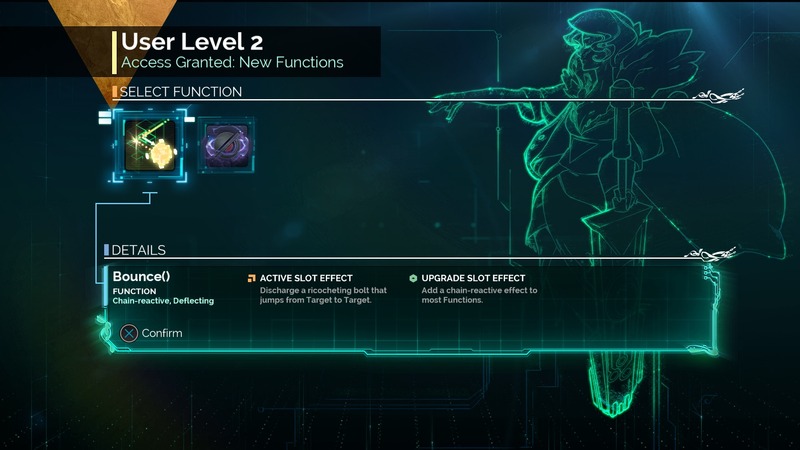 You can only equip four Functions() at a time but there are also passive abilities. 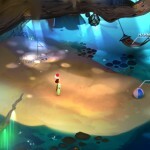 Another thing for those familiar with Bastion is the ability to make the game harder but you gain an XP boost. 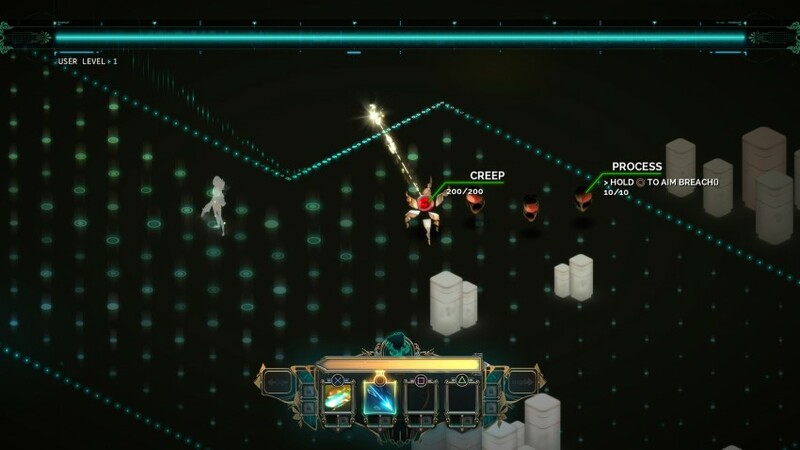 In Transistor these are cleverly called “Limiters.” For example, one Limiter will allow you to gain a 4% XP boost but all enemy attacks are double in damage. Limiters are stackable but it gets pretty hard after you have a few installed. One of the things that really confused me was the UI for Functions(). The whole user experience just didn’t flow correctly for me but I could just be nit-picking. 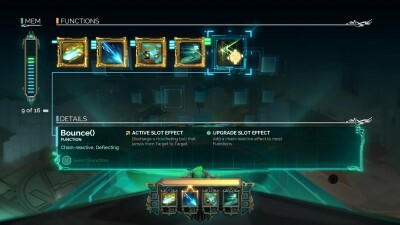 I spent some time within the UI to understand it but it just didn’t come to me at first, not like Bastion. 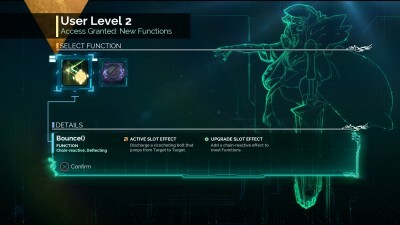 Each enemy gains an upgrade to it’s attacks and strengths as you advance in the game and they’re all different in terms of vulnerabilities and abilities. There aren’t too many “bosses” in the traditional sense but there are tough enemies to make up for it. 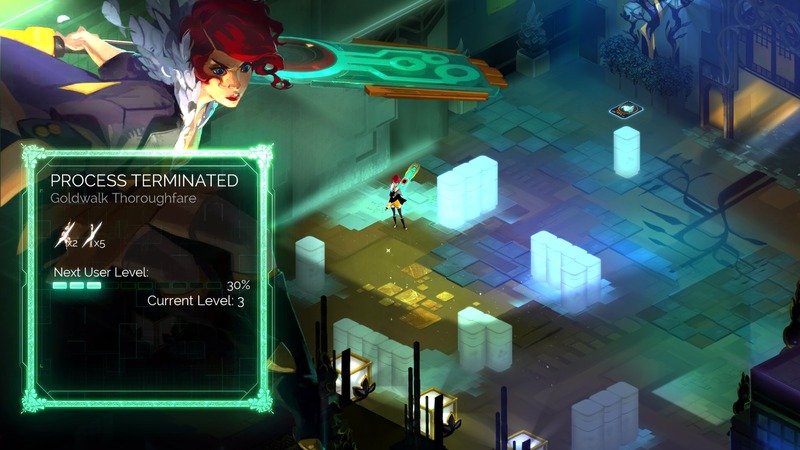 When you lose health in Transistor you do not die. Instead, you Overload() one of your Functions() which means you cannot use that move until you visit a terminal twice. You die after you Overload() all of your Functions(). 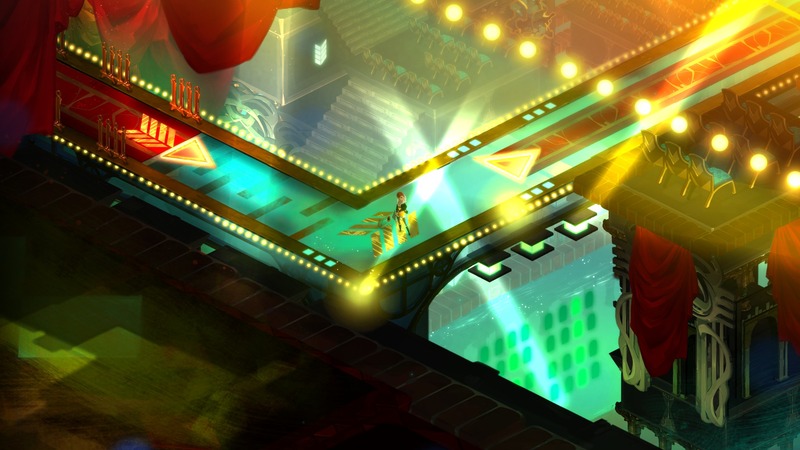 Transistor, like Bastion, is chock-full of features like a “Backdoor” where you can gain XP and level by completing challenges such as wiping enemies out in one Turn() or surviving a wave of enemies for 35 seconds. The replayability is something I am looking forward to since I haven’t unlocked all the Functions(), upgrade slots, passive slots, or Limiters. I won’t spoil the ending but it works for the story. I feel Red was being selfish but I wonder if I would have done the same thing. 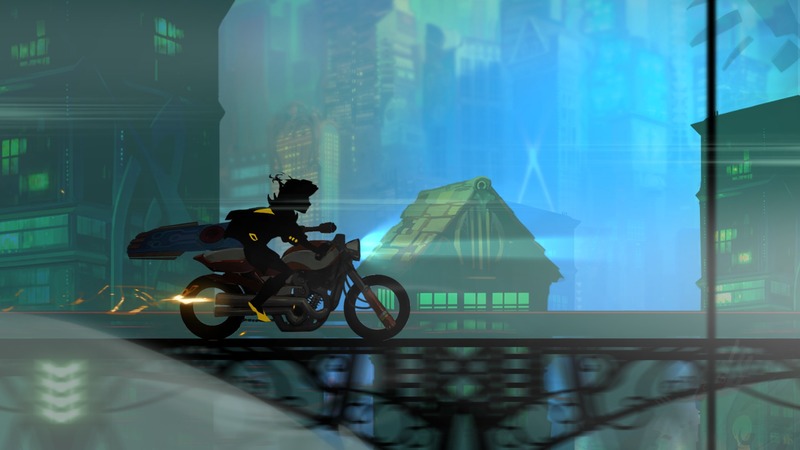 If you enjoy story-driven games then I highly suggest playing Transistor. 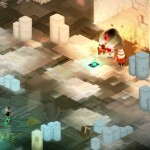 It’s beautiful, it’s emotional, and you’ll have a lot of fun with the RPG tactics.